The Enemy Within: Where Are the Islamist/Jihadist Websites Hosted, and What Can Be Done About It? Today, in a briefing on Capitol Hill hosted by Rep. Gary Ackerman (D-NY), chairman of the House of Representatives Foreign Affairs Subcommittee on the Middle East and South Asia and Rep. Mike Pence (R-IN), ranking member of the Subcommittee on the Middle East and South Asia, MEMRI's president Yigal Carmon spoke about Islamist/Jihadi websites. The briefing was based on a study prepared by MEMRI which highlighted the fact that all Islamist/Jihadi websites are hosted -directly or through subservers - by Western – primarily American – Internet Service Providers (ISPs). The study also discussed the question of what can be done about it, and stressed the fact that most – if not all – ISPs do not know what is the content of the websites they are hosting, due to the language gap, since most of these websites are in Arabic. During the briefing, MEMRI announced that it is taking upon itself a public service - offering ISPs that want to know about the content of the sites they are hosting information regarding those sites within 7-10 days, so they can make an informed decision on whether they want to continue hosting these sites. ISPs can now access the MEMRI Public Service Guide (MEMRI PSG) through a dedicated webpage, www.MEMRIPSG.org and submit their questions. The briefing included a video of material posted on these Islamist/Jihadi websites. To view the video, visit: http://www.youtube.com/watch?v=XRc9UByJJsk . The following is the text of the presentation. Extremist Islam makes extensive use of the Internet. One can hardly imagine the growth of radical Islam and its jihadi organizations in recent years without the immense reach, impact and capabilities of the Internet. The threat posed by Islamist websites has recently been demonstrated by three cases: the case the New Jersey group that planned a terrorist attack on Fort Dix; the planned terrorist attack on JFK; and the attempted car bombings in the UK. According to media reports, the terrorists in all three cases were inspired by jihadist websites. There were also two recent court cases in Britain and Switzerland in which terrorists were convicted of using Internet sites to promote terrorist activities. The National Intelligence Esitmate recently published by the U.S. National Intelligence Council stressed the following, "We assess that the spread of radical - especially Salafi - Internet sites, increasingly aggressive anti-US rhetoric and actions, and the growing number of radical, self-generating cells in Western countries indicate that the radical and violent segment of the West’s Muslim population is expanding, including in the United States. The arrest and prosecution by US law enforcement of a small number of violent Islamic extremists inside the United States - who are becoming more connected ideologically, virtually, and/or in a physical sense to the global extremist movement - points to the possibility that others may become sufficiently radicalized that they will view the use of violence here as legitimate..."
The jihadist terrorist organizations utilize the Internet for two main purposes: for operational needs, and for indoctrination and da'wa (propagation of Islam). The Internet serves as a tool in the military training of jihad fighters by circulating military guidebooks on weaponry, battle tactics, explosives manufacture, and other topics. An example is Al-Qaeda's online military magazine Mu'askar Al-Battar (The Al-Battar Training Camp), published by the Military Committee of the Mujahideen in the Arabian Peninsula. Some websites also carry courses on manufacturing explosives and even guides for making homemade dirty bombs. Another type of online operational activity is the use of hacking techniques to sabotage Internet sites – what the Islaimsts term "electronic jihad." As part of this activity, Islamist hackers attack websites of those whom they consider their enemies with the aim of damaging morale, and attempt to hack into strategic economic and military networks with the aim of inflicting substantial damage on infrastructures in the West. Many Islamist websites and forums have special sections devoted to the topic of electronic jihad, such as the electronic jihad section in the Abu Al-Bukhari forum. The main use of the Internet by Islamist/Jihadi organizations is in the field of indoctrination and da'wa (propagation of Islam). The organizations attach great significance to this Internet activity, as evident from the considerable efforts they invest in it. Al-Qaeda, for example, has an "information department" and a very active production company, Al-Sahab. Likewise, the Islamic State of Iraq (ISI) – which is an umbrella organization founded by Al-Qaeda, incorporating several terrorist groups in Iraq – has an "information ministry" and two media companies, Al-Furqan and Al-Fajr. In addition, there are independent media companies serving the Islamist organizations, such as the Global Islamic Media Front (GIMF), which denies having ties with Al-Qaeda but has posted Al-Qaeda statements taking responsibility for terrorist acts. The GIMF has also established the Media Jihad Brigade (Katibat Al-Jihad Al-I'lami). The online indoctrination and da'wa activities are regarded by the organizations as an integral part of jihad, and as another front of jihad in addition to its military, economic, and political fronts. In fact, they characterize online media or informational activity as a type of jihad that can be carried out by those who cannot participate in the fighting on the battlefield. They call this kind of jihad "the media jihad" (al-jihad al-i'lami) or "the da'wa jihad" (al-jihad al-da'awi). The following are some examples of websites that carry out indoctrination and da'wa activities by disseminating communiqués, religious tracts and videos that serve the terrorists' purposes. 1. The Islamist forum called "World News Network," which posts messages by numerous organizations. The following is a page from the website that includes messages by Al-Qaeda’s production company Al-Sahab, by the ISI media company Al-Furqan, and by the Iraqi terrorist organization Ansar Al-Sunna. ISP: SiteGenie, LLC, Minnesota, USA. 2. 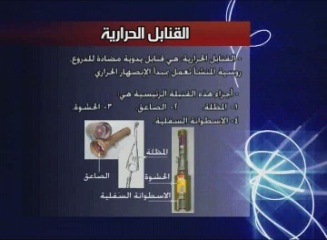 The Al-Saha forum, which posts videos produced by Al-Sahab and speeches by Al-Qaeda leaders, such as Ayman Al-Zawahiri. 3. Islamist websites sometimes have special sections devoted to messages by the jihadist media companies. For example, the Al-Nusra forum (which is affiliated with the Global Islamic Media Front – GIMF), has a special section devoted to GIMF messages. In practice, the two types of online activity conducted by terrorist organizations – military activity and informational activity – are intertwined. Prominent terrorists played (and continue to play) an active role in online media activities. For example, Fares Al-Zahrani, an Al-Qaeda leader who was arrested in August 2004 by the Saudi authorities, used to write on Islamist forums and on Abu Muhammad Al-Maqdisi's website "Minbar Al-Tawhid Wal-Jihad" under the pseudonyms Abu Jandal Al-Azadi and Al-Athari. Another senior Al-Qaeda operative, Abd Al-Aziz Al-Anzi, who likewise participated in clashes with Saudi security forces, headed the Al-Qaeda Media Council, and was referred to as "the information minister of Al-Qaeda in the Arabian Peninsula," was also very active online. He recruited Al-Qaeda supporters on Internet forums, and was a supervisor on the Al-Salafiyoon website (www.alsalafyoon.com), under the pseudonym Abd Al-Aziz Al-Bakri. He also wrote regularly for Al-Qaeda's online magazine Sawt Al-Jihad (The Voice of Jihad), under various pseudonyms, among them Abdallah bin Nasser Al-Rashid, Abd Al-Aziz bin Musharraf Al-Bakri, Sheikh Nasser Al-Najdi, and Nasser Al-Din Al-Najdi. Some of the Arab countries in which Islamic extremists are most active employ highly restrictive supervision measures against individuals and groups involved in online terrorist activity. As a result, Islamist organizations and their supporters prefer to use Internet Service Providers (ISPs) in the West – and especially in the U.S., which is a key provider of Internet services – and thus exploit Western freedom of speech to spread their message. In many cases, Western countries even host websites of organizations that have been officially designated by these very countries as illegal terrorist organizations. It must be stressed, though, that the ISPs themselves are frequently unaware of providing services to extremist elements. 1. The website of the Iraqi organization Asaeb Al-Iraq, hosted in Texas. 2. The website of the Jaysh Al-Mujahideen organization, hosted in Pennsylvania. 3. The website of the Palestinian Islamic Jihad organization, hosted in Texas. 4. 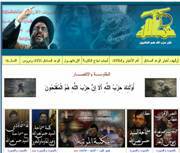 A Pro-Hizbullah website, hosted in Texas. 5. A blog called "Supporters of Jihad in Iraq," hosted in Washington State. The caption at the top of the page says "Kill the Americans everywhere." Currently, forums are the primary platform used by Islamist organizations to spread their messages. The importance that the organizations attach to these forums is evident in the fact that their official statements, such as communiqués or videos, are usually posted on their forums before being posted on their websites. For instance, Al-Qaeda, which has no official websites, uses Islamist forums to convey its messages. 1. The highly popular Al-Hesbah forum, hosted in Texas. 2. The Al-Tajdid forum, hosted in Britain. 3. The Al-Saha forum, hosted in Michigan. 1. The website of Abu Qatada Al-Falastini (aka Omar Mahmoud Abu Omar), a Jordanian of Palestinian origin, who has been detained in Britain since 2005 on suspicion of having ties with Al-Qaeda. His site is hosted in Britain. 2. The website of Sheikh Abu Muhammad Al-Maqdisi, who was the spiritual mentor of the late commander of Al-Qaeda in Iraq, Abu Mus'ab Al-Zarqawi. Al-Maqdisi's website includes numerous documents that provide ideological and religious-legal legitimacy for many Islamist terrorist organizations. 3. The website of extremist Islamist sheikh Hamed Al-Ali, known for his support for jihad fighters. 1. The unofficial blog of "Al-Furqan Media," the production company of the Islamic State of Iraq (ISI), which was founded by Al-Qaeda. 2. A blog dedicated to the legacy of the former leader of Al-Qaeda in Iraq, Abu Mus'ab Al-Zarqawi, which includes Al-Zarqawi messages and videos. 3. A Yahoo! group called Supporters of Jihad in Iraq. 4. A pro-Hizbullah group on Microsoft's portal MSN which posts speeches by Nasrallah, information on Hizbullah operations and links to other Hizbullah sites. The jihadist websites hosted in the West are not always in Arabic. Some are in European languages such as English, French and German. 1. An English section on the forum called "World News Network." ISP: Akamai Technologies London, U.K.
3. A Website in French called La Voix des Opprimés (The Voice of the Oppressed), hosted in the U.S..
ISP: DNS Services, Florida, USA. The prevalent view in the West, even among officials in charge of counterterrorism, is that the primary way to fight the jihadist websites is to spread an alternative message, or a "counter-narrative," which is opposed to that of the Islamists. Indeed, Islamist ideology should and can be countered by alternative messages and it is indeed increasingly challenged by reformists in the Arab and Muslim world. However, such an ideological campaign is, by its very nature, a long-term effort with no immediate results. More effective and immediate ways to fight the phenomenon are, firstly, to expose the extremist sites via the media, and thus to inform ISPs and the public at large of their content, and secondly, to bring legal measures against ISPs that continue to host extremist websites and forums. Experience teaches that exposure is, in itself an effective measure against extremist sites. In 2004, MEMRI published a comprehensive two-part review of Islamist websites and their hosts. Within a week of the publication of this review, most of the sites exposed in it were closed down by the ISPs that hosted them. This suggests that an effective measure against the extremists' online activities would be to establish a database – governmental or non-governmental – which would regularly publish information about Islamist/Jihadi sites, and/or provide it to ISPs upon request. This database would provide a similar service to that of government bodies that inform the public at large on various kinds of threats to its safety such as bodies that provide weather alerts and travel advisories; the Better Business Bureau, which provides businessmen with information about individuals and companies convicted of fraud; or the US Treasury's Office of Foreign Assets Control that provides information to banks, which are bound by the regulation of "know your customer." It should also be stressed that the ISPs themselves have a legal authority to remove sites that violate the law (e.g. the copyright laws) or sites that abuse their own regulations as laid down by the ISPs. Thus, with information on extremist sites at their disposal, the ISPs should have both the ability and the obligation to remove such sites from their servers. The U.S. officially designates certain organizations as “Foreign Terrorist Organizations” (FTOs) and certain individuals as "Specially Designated Terrorists" (SDTs) or "Specially Designated Global Terrorists" (SDGTs). The list of designated organizations and individuals is updated regularly and made available to the public. Some of the organizations and individuals listed in this document – such as the Islamic Jihad organization, for example – are designated FTOs and SDGTs, which means that the ISPs hosting their sites are clearly violating U.S. law. Websites and forums that disseminate operational military information to terrorists, such as many of the sites and forums presented here, are illegal under this law, even if they are not formally associated with a designated FTO. A motion claiming this law to be incompatible with the First Amendment was denied by an American court in the case of Rodney Adam Coronado, a radical animal-rights and environmental activist. Coronado was convicted of violating Title 18, Section 842 after giving a lecture in California in which he showed how to build an incendiary bomb. After being charged, Coronado filed a motion to dismiss the case against him on grounds that the law had violated his First Amendment rights. The motion, however, was denied by the District Court of San Diego. In explaining its ruling, the court stated that "the First Amendment does not provide a defense to a criminal charge simply because the actor uses words [rather than actions] to carry out his illegal purpose..."
*Y. Carmon is the President of MEMRI, Y. Yehoshua is Director of Research at MEMRI, E. Alshech is Director of the Jihad and Terrorism Studies Project at MEMRI, D. Hazan is Director of the Islamist-Jihadi Website Initiative at MEMRI, R. Carmon and H. Migron, Research Assistants at MEMRI, participated in the preparation of this study. For a general overview of Islamist websites, see MEMRI Inquiry & Analysis No. 328, " Islamist Websites as an Integral Part of Jihad: A General Overview," February 21, 2007, Islamist Websites as an Integral Part of Jihad: A General Overview. See MEMRI Special Dispatch No. 637, "The Al-Battar Training Camp: The First Issue of Al-Qa'ida's Online Military Magazine," January 6, 2004, The Al-Battar Training Camp: The First Issue of Al-Qa'ida's Online Military Magazine. See MEMRI Special Dispatch No. 1004, "On Islamic Websites: A Guide for Preparing Nuclear Weapons," October 12, 2005, On Islamic Websites: A Guide for Preparing Nuclear Weapons. Al-Sharq Al-Awsat (London), August 14, 2005. See article by Nur Al-Din Al-Kurdi in the third issue of the magazine Dhurwat Sanam Al-Islam (referring to jihad), issued by the Information Department of Al-Qaeda in Iraq. Al-Sharq Al-Awsat (London), July 31, 2007. There have also been arrests. On June 5, 2007, the Saudi Security services detained three Al-Qaeda members for using the Internet to spread extremist ideology and recruit young people to jihad. One of the detainees was Abu Asid Al-Faluji, who attempted to recruit youths for terrorist operations and disseminated via the Internet speeches by bin Laden and Abu Mus'ab Al-Zarqawi; another was Abu Adullah Al-Najdi, who was involved in terrorist operations against Saudi Arabia and attempted to publish a new edition of the e-journal of Al-Qaeda in Saudi Arabia, Sawt Al-Jihad, which was closed down two years ago. (Al-Watan, Saudi Arabia, June 6, 2007; Al-Riyadh, Saudi Arabia, June 7, 2007). All data concerning the websites was verified June 1, 2007. Dispute in Islamist Circles over the Legitimacy of Attacking Muslims, Shi'ites, and Non-combatant Non-Muslims in Jihad Operations in Iraq: Al-Maqdisi vs. His Disciple Al-Zarqawi. MEMRI Special Report No. 35: " Islamist Websites and their Hosts Part II: Clerics," November 11, 2004, Islamist Websites and their Hosts Part II: Clerics. For an updated list of Specially Designated Nationals, see: http://www.treas.gov/offices/enforcement/ofac/sdn/t11sdn.pdf.